VULKKANO Bullet®. Bluetooth speaker with 10W & IPX6. Amazing sound. 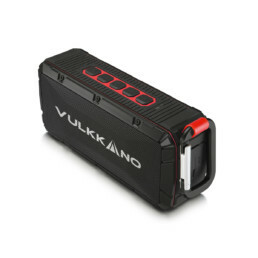 The VULKKANO Bullet has been designed to offer you the most powerful sound, taking up as little space as possible. It integrates two 40mm speakers that will offer you a clean audio; rich in details and with powerful bass that will make you enjoy your music with a smile on your face. The VULKKANO Bullet features a silicone-lined chassis that is fully sealed so it can withstand splashing water. Awarded with the IPX6 certification, which means you can use it near the pool or even while you take a shower in the bathroom. With Bluetooth 4.0 you can connect wireless your VULKKANO Bullet speaker to any smartphone and portable device without distorsion or interferences. 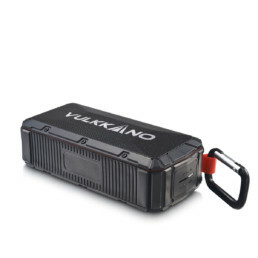 The new brand VULKKANO, breaks into the market of Bluetooth speakers decided to make a name in the industry. With the VULKKANO Bullet you can enjoy all your music, wherever you are, just pairing your smartphone via Bluetooth. In addition to this, thanks to its compact size and its great resistance you can carry it in your backpack and carry the party wherever you want. To assure an optimal bass response, it incorporates a bass radiator to simulate the experience you would have with a subwoofer, this allows low frequencies to reach your ears without distortion and with the necessary grip for realistic and impactful sound. In addition, its diaphragms with their dual-wave design reduce the noise and distortion inherent to the audio signal, to offer you the cleanest and most refined sound. To top it off, the Bullet integrates an amplifier that delivers 10W of power, so weather at home or outdoors you enjoy a clear and high volume sound. 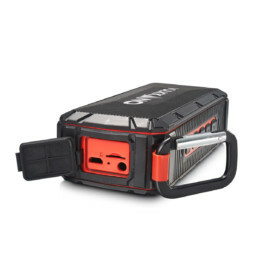 In addition to this, its structure made of TPU material also protects the unit against dust, sand and impacts, allowing you to hear it on the beach if you wish and without having to worry about it, because it is made to endure falls. The new VULKKANO Bullet uses DSP technology with which the audio signal is repaired to compensate for the loss of audio quality. This makes all sound frequencies revitalize, from high to low to give you maximum performance in music, movies or games. With this small speaker you will rediscover your music again. The VULKKANO Bullet includes Bluetooth 4.0 technology to be able to be paired with all your devices easily and quickly. All this while enjoying an excellent audio transmission in high resolution and very low latency. To emit a totally clean sound, it incorporates the latest generation CVC chip that allows you to reduce the noise of the signal to the maximum. Forget all interference and enjoy your music with no limits. In addition, its intelligent memory stores the devices that have been paired in the past, so that just by turning them on the speaker will communicate with them and establish connection quickly. 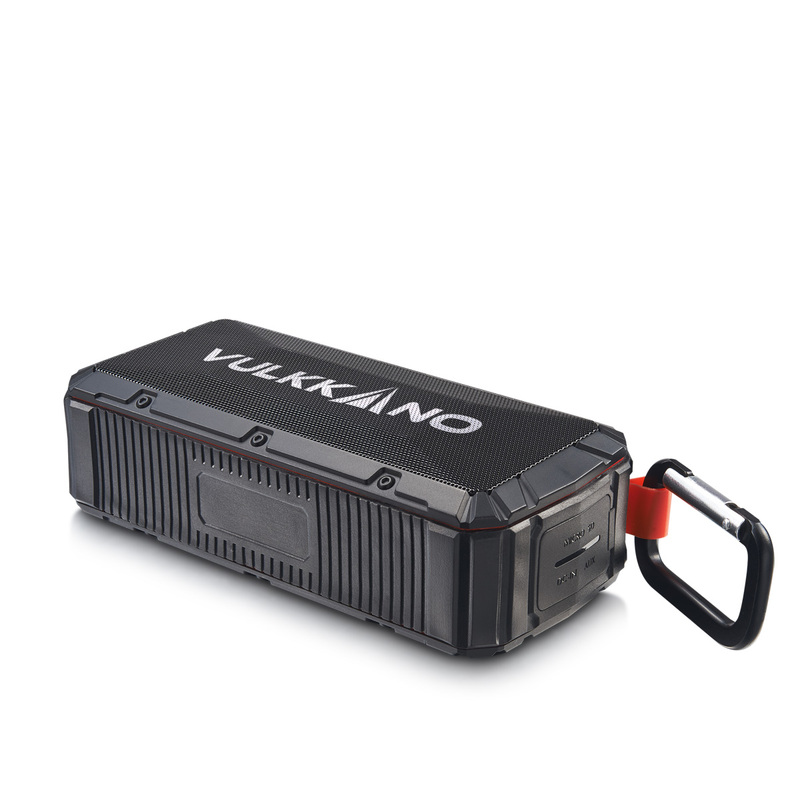 You are looking for an ultra portable and easily transportable Bluetooth speaker, the VULKKANO Bullet is what you’ve been looking for. With a very compact size, of only 149.5 x 47 x 68.6mm and a weight of 330g, you can carry it with you in your suitcase or backpack, from which you can hang it thanks to its carabiner. And if you decide to separate from it, it does not matter, since it offers up to 15m of reach between the speaker and your sending device. You can control it with your smartphone, tablet or PC when far from the speaker without any problem. In case the above is not enough, we also want to tell you that the VULKKANO Bullet has incorporated FM radio receiver so that when you get tired of the music you carry on your cell phone or you just want to listen to the match of your favorite team, you can do it instantly. And what happens if your cellphone runs out of battery? Nothing, since it also include a micro SD card reader so you can play your music directly from the device without having to make use of the Bluetooth function. 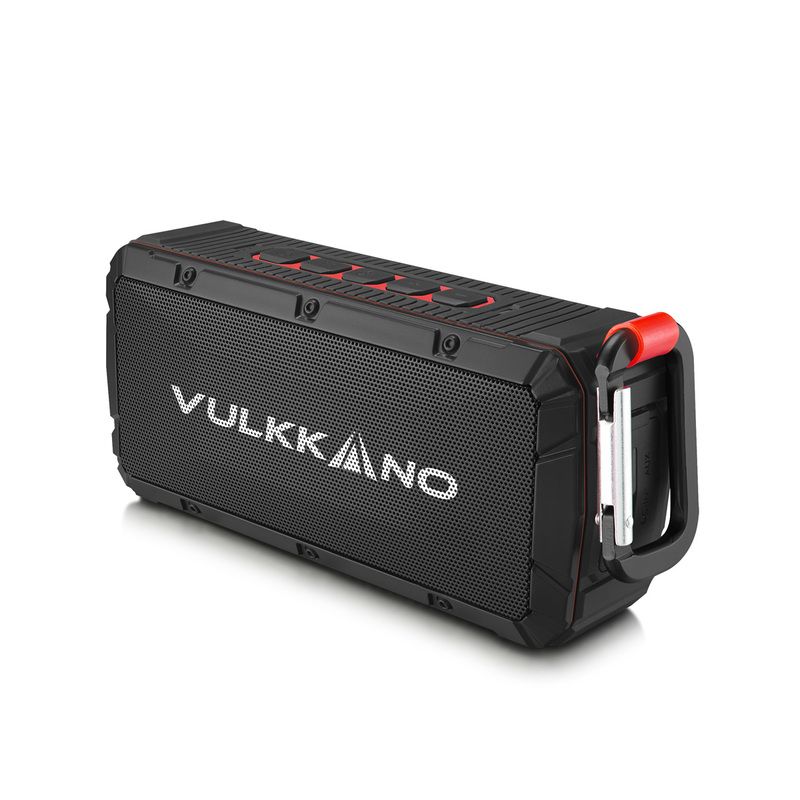 If you are one of those who care about the maximum duration of battery in your devices, the VULKKANO Bullet offers you a 2200 mAH battery that extends its duration until 10h of reproduction. Thanks to its sleep function, it turns off automatically after 15 minutes of inactivity for optimum energy saving. Want to answer calls? No problem! 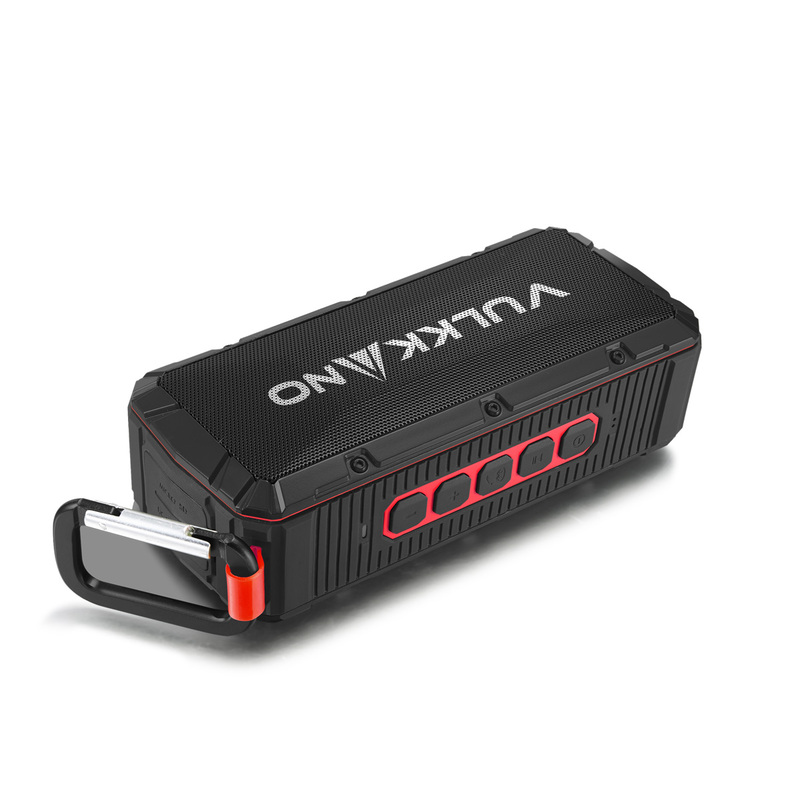 The VUKKANO Bullet is not only a Bluetooth speaker but also a handsfree speaker. By pairing it to your smartphone you can receive calls and have conversations with your friends, thanks to its integrated microphone with noise cancellation, with which your voice will be transmitted clearly. Although the VULKKANO Bullet can communicate with your devices through Bluetooth, that is not all. It also has a micro SD card reader and an audio input via standard 3.5mm connector if you want to use them with devices that do not have wireless connectivity. There is no excuse to not to enjoy your favorite music, wherever and from whatever device you want.